Games company Funtactix, which publishes games based on film and television properties, has announced its partnership with Saban Brands to create a game based on the Power Rangers franchise. 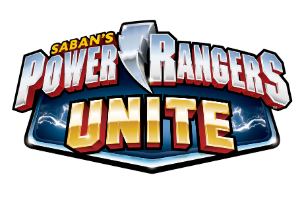 Power Rangers: Unite will combine characters and content from every season of the Power Rangers franchise, which began with Mighty Morphin Power Rangers in 1993. Funtactix has given us an exclusive first look at the game, which is set to hit mobile devices in early 2015. Power Rangers: Unite will offer a brand new storyline to players, which will see Rangers from all 22 seasons of the television show team up to fight a new enemy named Nerodark. Players will collect and trade Rangers, villains, Zords and weapons in a card battle experience, which aims to provide entertainment for the franchise’s multiple generations of fans. Power Rangers: Unite will launch on iOS and Android devices later this year. The next season of the Power Rangers series, Power Rangers Dino Charge, will premiere on Nickelodeon in the U.S. in early 2015, being before rolled out to a global audience later in the year.